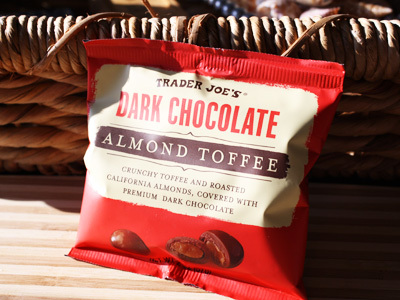 Trader Joe's Dark Chocolate Almond Toffee is made without any gluten ingredients. The label reads that it is "Crunch Toffee and Roasted California Almonds, Covered with Premium Dark Chocolate." It's been a while since I've had one, but these remind me of Hershey's Skor Bar. They are very good and I will look forward to buying them again! 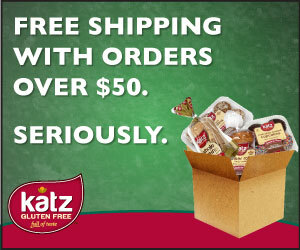 Here is Trader Joe's list of products with No Gluten Ingredients.